Orton C of E School's Governing body is made up of 14 Governors, all of them volunteers (apart from the staff members, although this part of their role is voluntary for them too!) and all of them bringing different perspectives, expertise and experience to the Governing Body for the benefit of the school. Sally was appointed as a Foundation governor in 2008 and has been Chair of the Governing Body since early 2013. She first became a governor when her son was at Orton CofE School and has continued that interest and support as Chair and also as a member of the Curriculum, Safeguarding and Finance and Staffing Committees. Sally runs a PR and communications business from home in Orton and, before moving here in 2003, worked in corporate communications in the chemical industry. That probably accounts for her particular subject interest which is science. Steve is one of the Governing Body’s longest-serving Governors – he first became a Governor when his son was in School and he now has grandchildren on the roll! He brings all that experience as well as his business acumen, his Parish Council connections and his pragmatic approach to the Governing Body and is a member of the Finance and Staffing and Buildings & Grounds Committees. Rona was a parent governor from 2007, when her elder daughter first started at Orton School and she was asked to get involved. She became LA Governor in 2015, is a member of the Curriculum committee and works with Mrs Woodmass (SENCO) and Mrs Green to ensure that children with special educational needs get the help they need and are fully included in the life of the school. She also works with staff on analysing and reporting performance monitoring data. Rona is also a member of the Buildings & Grounds committee, and tries to help out practically when possible. She has been involved with Friends of Orton School for eight years, helping out at events, and was involved with setting up the After-School Club. Chris has been a governor since 2014 when he was appointed as a Foundation Governor by the Diocese and PCC. He is currently involved in the Curriculum and Finance & Staffing Committees. Chris was a governor of a similar-sized Church of England school for over 10 years back in the 1980s and 1990s so he brings that experience to Orton’s governing body as well as his Christian faith. Most people in and around Orton know Nigel as the Village Sub-Postmaster and owner of the Village Store and he’s shown here with his wife, Paula. Nigel has been a Foundation Governor since 2006 and chairs the Finance & Staffing Committee. Richard joined the team as a Co-Opted Governor in February 2018, having moved to the village from East London with wife Joanna on the birth of their twin sons Lars and Linus in Summer 2017. Prior to the move Richard was Head of a 16-18 school in Hertfordshire, having previously enjoyed working in two girls’ secondary schools in London. He has served as Governor of an Academy for boys and girls aged 5-18 in North London, and was a Staff Governor at his first school after qualification as a teacher. 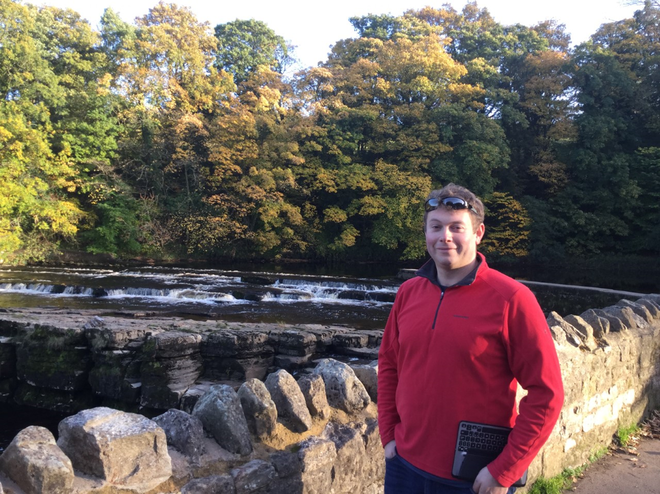 Professionally, Richard is particularly interested in pastoral care, and in bringing the outside worlds of work, current affairs and the outdoors in to education. Richard’s interests include fell and road running, walking and sustaining the resilience to support Newcastle United. Ian was elected as a Parent Governor in May 2015 and became a Foundation Governor in December 2017. Ian has two children attending the school (as well as being married to Mrs Simpson (Catherine)). Ian is a self-employed driving instructor who is well known throughout the local area and has a reputation for being approachable and friendly with a wicked sense of humour. Three years as the Chair of Friends of Orton School have provided him with an insight into the workings of the school and Ian has already developed a good working relationship with children, staff and parents. In addition, as a Scout leader, Ian brings a wealth of skills and experiences to the governing body, including safeguarding, risk assessments and leadership. He is a member of the Safeguarding and the Buildings and Grounds Committees. Julian has been a Foundation governor since 2002. He was first appointed by the PCC when his son, James was about to start at the school – and James has now been at Kirkby Stephen Grammar School for a number of years. completion and snagging) and in summer 2014, the sourcing and creation of The Cube temporary classroom. Julian is also a member of the Finance and Staffing Committee and his particular subject interest is maths. Glen volunteered for the role as Parent Governor in May 2018. Glen has two children who currently attend the school and he particularly sees the value of a small school in a relatively small community. Having close ties to Friend of Orton School, Glen thought the Parent Governor role would be a way to become further involved and offer support and a different perspective wherever possible. Glen works as a civil engineer for a national consultancy firm and has done so since graduation in 2003. He is experienced in the management, design and practical implementation of large and small building projects, together with ‘hands on’ experience closer to home as a keen DIY enthusiast and den builder. When he’s not working Glen enjoys motorsport, especially the two-wheeled variety, and spending time with the family having mini outdoor adventures whenever possible. Matt joined the team as Foundation governor in Autumn 2015 and has a daughter due to start at school in September 2016. He is an Advanced Paramedic with the North West Ambulance Service and fills his spare time walking his dog, Henry around the village – you’ll often see them about. Along with walking, Matt has a strong back ground in outdoor pursuits including kayaking and canoeing and these have taken him to many European destinations as well as instructing groups. Matt is a member of the Buildings & Grounds Committee of governors and he hopes to help with future projects to enhance the school environment as well as “cementing” his role on the committee and as a governor. Vicky has been Clerk to the Governors since November 2014. The Clerk is appointed by the Governing Body to provide procedural, legislative, organisational and administrative support to the Governing Body. Vicky has been a Law Costs Draftsman for the past thirteen years, which involves preparing claims for payment to Court that comply with government guidelines. Prior to this Vicky worked in the financial services industry in advisory, administrative and compliance review roles. Vicky was also Secretary of Appleby Show from 2011 to 2013. Vicky has one son at the school and is also involved with Friends of Orton School.